I feel like I am breaking the Valentines atmosphere because of the lack of chocolate in this recipe or the absence of heart shaped cookies in this post. This is not to spoil the chocolate/ red velvet /heart cookies season but these Vanilla Cupcakes are all my time can afford. Anyways, Valentines Day can be any day right? Just like chocolate and heart shaped cookies can be made any day. 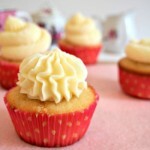 So pardon me for now, my friends and I hope you find these vanilla cupcakes still apt for your Valentine’s Day. So what are your plans for Valentine’s Day? We don’t have any. Does that make me so unromantic? I am only foreseeing fun Friday night with lots of goofing around indoors with my two hug-gables, and maybe me baking and then husband and myself staying up longer after the baby has fallen asleep, then we’d goof some more or annoy each other. I think we are more excited that it is a Friday tomorrow rather than because its Valentines Day! 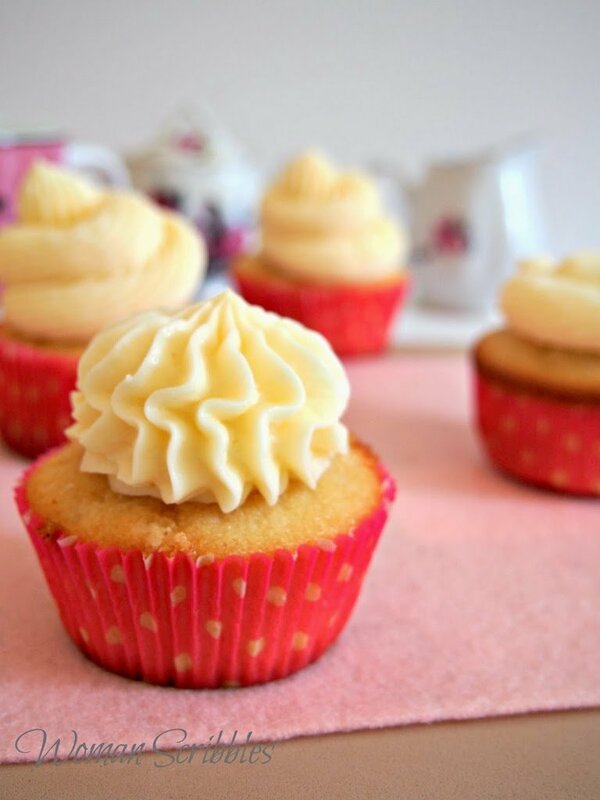 My least participation in joining the Valentine’s day bandwagon would be these vanilla cupcakes, and a dinner that is a little fancier than usual , like pork tonkatsu. Hmm,I do have a plan after all. I wish I could talk to you about those pork tonkatsu soon. But for now, these cupcakes. They are very easy to make. 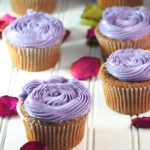 They require simple ingredients but you will be rewarded with very moist cupcakes with a frosting that blends beautifully with each bite. 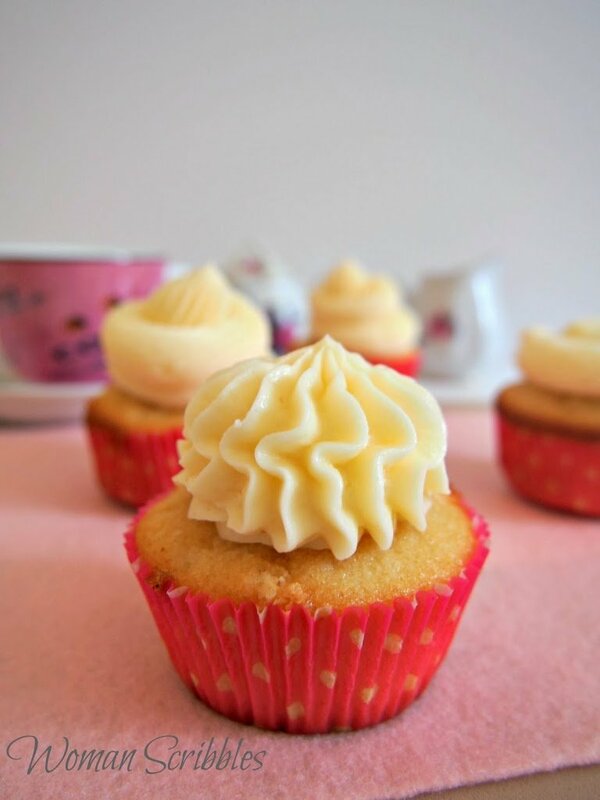 This is an easy go- to cupcake recipe. 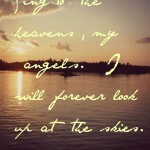 This is one of my favorite. So I hope you all have a lovely Valentines Day with your loved ones! Maybe next year I will try to be fancier by planning a dine out. But still , if you don’t have plans like us, Its totally Okay. Everyday can be Valentine’s Day 🙂 We don’t really need to wait for Valentine’s day to make someone feel special. Preheat oven to 350 F and line a muffin pan with 12 cupcake liners. 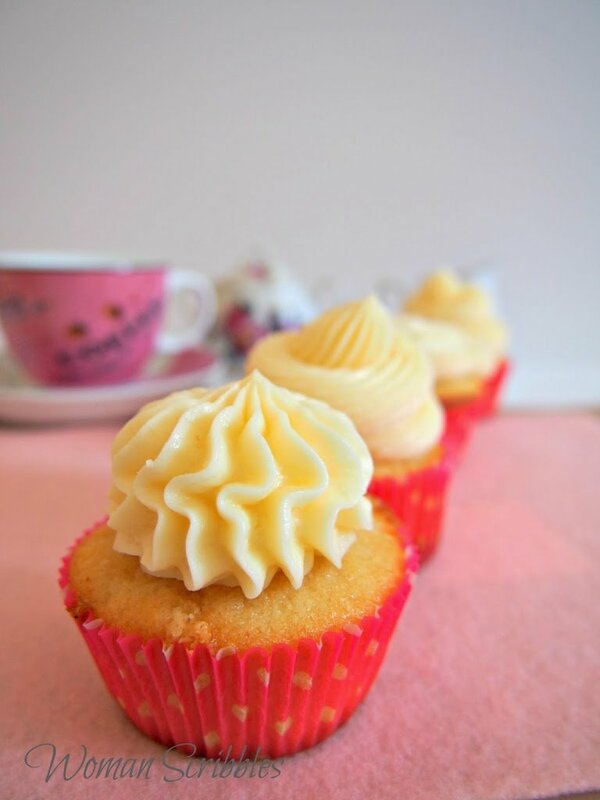 Using a hand or stand mixer, Beat butter and sugar until light and fluffy. Add in eggs and mix until incorporated, one at a time. Add in the vanilla extract. Combine flour and baking powder and add half of the mixture to the bowl and mix until incorporated. Add in the milk and continue mixing. Add the remainder of the flour and mix the batter until smooth. 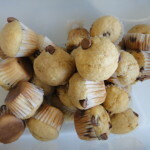 Spoon batter into the cupcake liners until liner are ¾ full. Bake for 20-22 minutes at 350 F. Cupcakes are done when they spring back when touched, and a toothpick inserted into the centers come out clean. Cool on wire racks. Using a hand or stand mixer, Beat the butter until light and fluffy. This should take about a minute.Add in the powdered sugar and beat until incorporated. Add in the vanilla extract and continue beating. Add in cream and milk and beat the frosting until smooth, about 3-4 minutes. You can adjust the amount of cream depending on the consistency you want. Add a few more tbsp if you want the frosting to be softer. Cupcake recipe adapted from All Recipes.